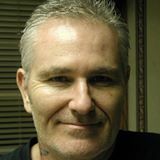 As part of his continuing investigation into the Sandy Hook Elementary School (SHES) shooting, independent researcher C.W. 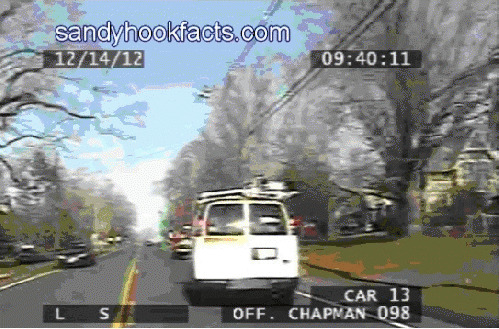 Wade of SandyHookFacts.com has sought out, obtained and is now ready to share never-before-seen footage captured from the dash cams of Newtown Police Department (NPD) emergency vehicles on the morning of December 14, 2012. Readers of OpEDNews are among the very first to view these previously confidential recordings. In one of three videos that C.W. 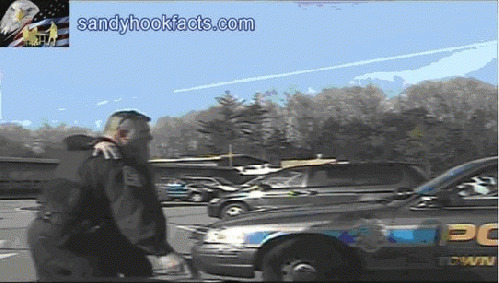 produced from the footage he received, NPD Ofc. 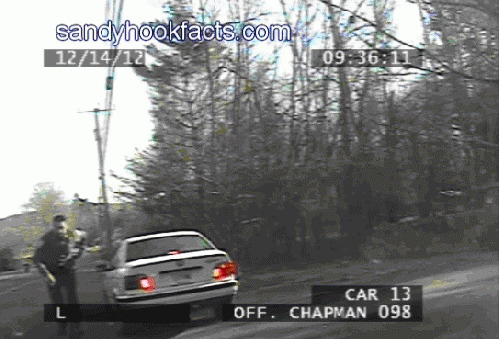 Liam Seabrook (time stamp erroneously labeled Chapman) can be seen conducting a routine traffic stop when the first call of shots fired comes out over the air. "67...Sandy HookSchool," the dispatcher can be heard saying. "Caller is indicating she thinks there is someone shooting in the building." 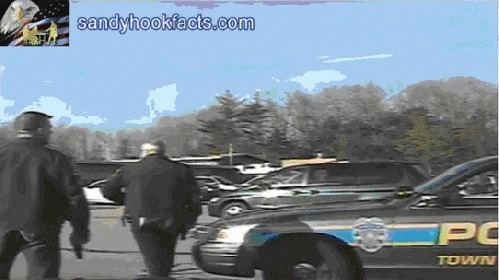 Without the slightest hesitation, Officer Seabrook runs to his patrol car and races off, sirens blazing! Seabrook quickly overtakes a slower vehicle ahead of him and proceeds to a red light. 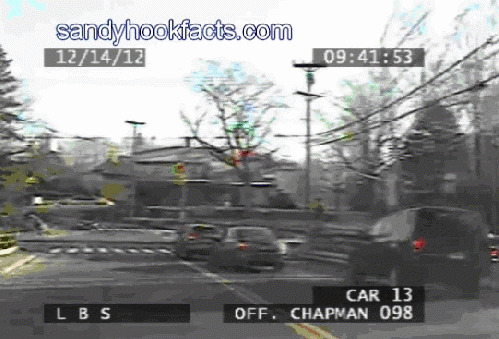 Oncoming vehicles yield as he makes his way through the crowded intersection and continues at a high rate of speed; at one point nearly avoiding a head-on collision with a semi-truck. Over the course of the next 5 minutes, Seabrook hastily maneuvers through traffic as details of the shooting continue to emerge over the radio. Then, another NPD emergency vehicle (a black SUV believed to be that of NPD Lt. Vanghele) can be seen directly ahead of him with its red lights and sirens activated. Both vehicles arrive at SHES less than 2 minutes later. More officers converge on the scene shortly thereafter. Within 10 minutes of Seabrook's arrival, a man wearing a dark jacket and brown pants (possibly SHES parent Christopher Manfredonia) is escorted in cuffs across the parking lot by a plain-clothes officer (reportedly NPD Capt. Joe Rios) wearing a bullet proof vest. Within moments, a group of officers with guns drawn gather in the parking lot and make their way towards the northeast corners of SHES (left side of screen), where the vast majority of evacuations were reported to have taken place. An NPD officer with gun drawn helps a limping woman (believed to be injured teacher Deborah Pisani) across the SHES parking lot. An adult and several children emerge from the northeast portion of SHES and approach an NPD officer armed with an assault rifle. He points them in the direction of the Sandy Hook Volunteer Fire Station.